“I think all great stories first and foremost are about great characters.” So says Miles Doleac, director of the upcoming southern gothic thriller The Hollow. 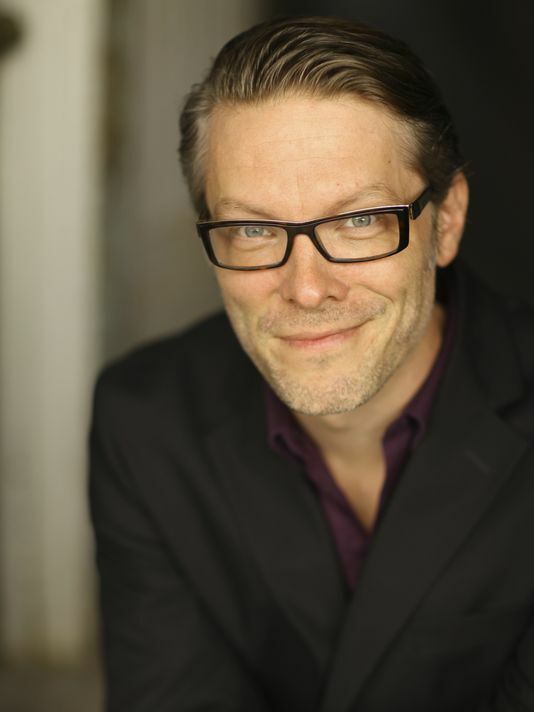 Doleac, a film and television actor who is currently appearing on the CW’s Containment, has his sights are on directing. He made the 2014 indie film The Historian, but has bigger ambitions for his sophomore film. Helping Doleac accomplish that goal is Hollywood producer Lisa Bruce. Bruce has produced Oscar-winning dramas (Theory of Everything), popular rom-coms (No Strings Attached), and indie darlings (Tumbleweeds). Together they are bringing The Hollow to life. 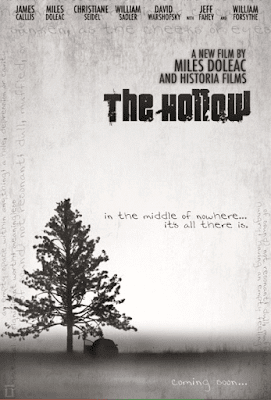 Set in Doleac’s native Mississippi, The Hollow tells the story of three FBI agents who come together to solve a series of mysterious murders. The Hollow, which stars William Forsythe, Jeff Fahey, and William Sadler, will be released in 2016. I recently spoke with Doleac and Bruce, about their upcoming movie, the crafts of directing and producing, and how Hollywood is changing its perspective on diversity. I On the Arts: Could you talk about your upcoming movie The Hollow? Miles Doleac: It’s a Southern noir murder thriller that I wrote and directed. It was shot here, in the state of Mississippi last summer, with some absolutely wonderful actors: James Callis from Battlestar Galactica, Christiane Seidel from Boardwalk Empire, William Sadler. William Forsythe, Jeff Fahey, David Warshofsky. 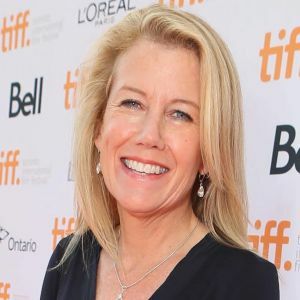 Lisa Bruce agreed to come on as our executive producer, which was, in my view, a huge coup, especially coming off her successful awards run with The Theory of Everything. And we feel like the film is successful on a number of levels. It’s in a genre that is really hot right now, the crime drama genre, something like True Detective and harkens back to something like the Coen Brothers and Cormac McCarthy’s No Country for Old Men… Southern Gothic has long been very popular in the United States. I owe a great debt in that regard to some of my own literary heroes, like William Faulkner and Tennessee Williams and Eudora Welty. When I set out to write the film, I wanted to write something that was squarely set in the state of Mississippi, that had a very particular feel and vibe, like visual fever dream of the deep South. IOtA: Lisa, what drew you to The Hollow, and how do you feel that it fits in the rest of the projects you’ve produced? Lisa Bruce: I was honestly mostly drawn to Miles and his confidence and his ability and comfort with actors and pulling performance. When you’re producing out in the world, there’s a lot of scripts floating out there and a lot of people saying that they want to direct, and you can have a lot of stumbled experiences with people where directing isn’t really their forte. I could just tell that Miles had a real vision for the film, and that he has a real comfort with actors. It’s one of the things that you can’t bring to the table as a producer—you can’t be the one stepping in to get a performance or sculpt a performance from an actor. That’s the director’s job, and should be their solo journey. So I always like to gravitate towards directors that are quite comfortable in that arena. I also was drawn to the setting—I love that it’s set in the South, I love that it was set in Mississippi, and I have a bit of a relationship with the burgeoning film community there, and really like supporting that world, because it’s a place not very many people have shot, and it’s so rich and layered and textured. The Hollow has all the elements of a very big commercial movie, and I could tell from talking to him that he would be able to pull it off for much less than the large commercial budget that so many people have. You also have people like Bill Sadler coming back to work with him again, which is a very big indicator of a director that’s really strong with actors, and I think in a story like this, performances really carry the movie. It’s not true with all films—every film needs good performances, but a movie like this lives or dies by them. And he put together an amazing cast, and everyone is very believable in their particular arc or their particular journey, and those journeys, I thought, were very well woven together in the script, and it was actually kind of a blast to do it. IOtA: So do you feel that having the strong performances and a director who can work with actors is something that applies to your past projects? Is that what you generally look for? LB: Yes. I’m not so interested in movies that are primarily just plot-driven. I’m very fascinated by characters and the things characters do in their lives: the mistakes, the good decisions and the bad decisions that we all make in our lives and that actually define our lives, and that is more interesting to me in a drama—and in a comedy, for that matter—than what happens to a character—like, oh, they’re robbed, for example. And in the case of The Hollow, what’s so great about it is that Miles has really created all these characters that are really living their lives, whether or not they’re living an honest, conscious way of living or they’re just riding through whatever journey they’ve dug themselves into. With The Hollow, for instance, what happens in the beginning of the movie affects all of these characters in a different way and brings them all together into the spider’s web. And that’s really interesting to watch—that’s the kind of stuff that Shakespeare’s built on, and it’s enjoyable to be able to watch somebody create that in a very character-rich story that doesn’t need a millions and millions of dollars for special effects. MD: Lisa brought up Shakespeare. I grew up reading Shakespeare, I went to an arts conservatory for college, performing Shakespeare, and I think what makes great writing, which is certainly true of his work, is that it’s first and foremost about characters making choices that lead to triumph or destruction. In Shakespeare’s tragedies, it’s characters that make a series of choices that slowly lead to their own demise. But what makes characters make those choices—that thing that is within a fascinating character, that complex psychological framework, is what really fascinates me because it provides for us a lens into the human dilemma itself, and into the human psyche. I think all great stories first and foremost are about great characters, so in both of my films I’ve tried to create those types of characters and put them on the screen, and I hope that I’ve been successful in doing that. IOtA: Miles, you started out as an actor—you mentioned that you went to an acting conservatory—so what was the journey like to go from acting to acting and directing—even directing yourself? That was a terrifying prospect, but made a lot of sense to me. I just dove in with both feet. And I was incredibly fortunate to be sitting there on the set of The Historian the first day we were shooting, graced with these amazing performances by Bill Sadler and the legendary John Cullum—Tony winner, Emmy nominee for his work in Northern Exposure—working on these scenes where they played father and son, and there were these beautiful duets and the two men had this wonderful chemistry—they had worked together before—and just those first few days talking with them and tweaking those already-great performances and watching the way they worked together as actors told me a great deal of what I ultimately needed to realize about being a director. So for me, coming from the theater, coming from an acting background, that was my foundation and I just built on that. IOtA: Lisa, over the course of your career, what are some challenges that you’ve faced as a producer? LB: Well, I think one of the hardest things about producing is that it’s quite a long journey from finding a script—it’s very hard to find material on the page that you think is worthy of the long, long journey But once you find that script, then the next big step and challenge is really getting a director that matches that material, and then attracting the right cast, and then finally, what I do at that point is I go for the money. So I think that’s the biggest challenge—it’s first finding the material and then packaging it in a way that you can argue will allow funders to make their money back, to make a profit. Funders are looking to make considerable amounts of money, and it’s a market and business that changes almost hourly. It used to be that you were always thinking about theatrical releases, and that all the other ancillary markets were the least of your concern, and now it’s flipped the other way, it’s all the other markets, and people are making things straight for high-profile television that they only used to make to go out theatrically. It’s a very dynamic business, and trying to stay fresh enough and in front of the train is the challenge. There are so many people running around saying, “I have a script! It’s really gonna be great!” and “I have this,” and “I have that,” and basically you spew a lot of hot air to get to the point where you make something very real for people—it’s an interesting magic show to do as a producer. IOtA: In light of recent events, there’s a lot of talk about diversity, and experiences of people of color and women in Hollywood. As a woman in the industry, do you have any comments about what’s been going on—do you feel like this discussion has been coming on for a while, and the Oscars are the latest example? LB: What the industry has mainly been driven by is making films largely for a 17-25 year-old white male audience, and that’s been traditionally their idea of what will drive a big box office, a very successful box office. I just felt like that was a misplaced goal and agenda for a very long time—that it shouldn’t just be men, certainly that it shouldn’t just be white men, or heterosexual men. In most of my career, when a female-driven movie has come out, which has been rare, that passes the Bechdel test and all that—every time they’ve been successful, going all the way back to Thelma and Louise, it’s seen as an anomaly—it’s spoken about by journalists as an anomaly. And even with Paul Feig and Bridesmaids—it’s the same thing. And I think women are as complicated as men, obviously, and yet women have often been mostly ornamental in films—they’re the ornamental character, they don’t have all the layers, you don’t get to really watch a full arc. They’re often the wife that doesn’t drive any of the story, or the girlfriend that doesn’t drive any of the story. Even things like The Hunger Games have helped, though, because you see a female action lead somewhat carry a movie, and I think now it is really shifting just because the conversation has been out there long enough and you have several women who are breaking rules. There’s a whole younger generation right now coming out of film school that can’t even understand that that’s actually a real conversation and are just breaking rules all the time. There are just way more female directors coming out of Sundance than when I was in film school. And that’s just exciting, because if women start to be writing and directing, they’ll be setting the agenda in a different way. And I think it’s the same for people of color, and I think it’s exciting for a lot of white men in the business to have that varied field and having the colors on the canvas be more varied, because then it makes a movie that is focused on white male characters a more interesting journey, because it isn’t all that’s out there. I do think it’s changing, and I do think it’s exciting, but I do think we have a very long way to go. Wonderful interview! You addressed different issues with the two and presented a well rounded view of their work, the film, and the industry in general.